Congrats to Elizabeth Williams, Winner of 2018 WTC Scholarship! 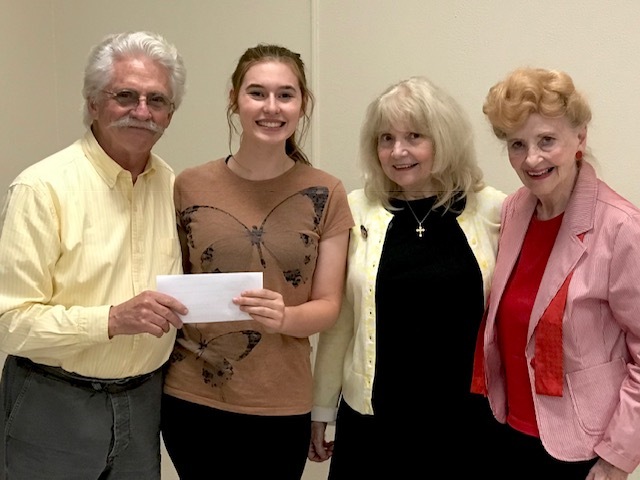 Elizabeth Williams, winner of the Winters Theatre Company 2018 $500 scholarship, receives the congratulations of WTC Board members Jesse Akers, Dona Akers, and Germaine Hupe. Elizabeth plans to major in education and theatre arts during her college career.